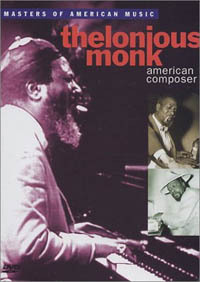 Widely considered one of the most important musicians in jazz, the famed Thelonious Monk had a unique improvisational style and made numerous contributions to the standard jazz repertoire, including "Epistrophy", "'Round Midnight", "Blue Monk", and "Straight No Chaser". Magnificent documentary on the life of jazz giant Thelonious Monk, that features new interviews, archival photos, studio footage and live performances. A brilliant work that more fully tells the story of this groundbreaking pianist who was at once brilliant composer, improviser and innovator. 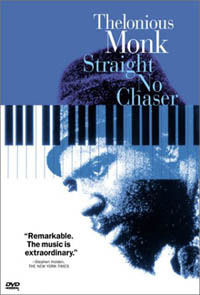 Featuring 25 songs by Monk, highlights include: Monk's Quartet at the 5 Spot with Charlie Rouse;at the Village Vanguard; Monk and "Nica" backstage at the Vanguard; a Columbia recording session for the "Underground" album; on tour in Europe with the octet; interviews with T. S. Monk, Jr., Charlie Rouse, his manager; candid scenes of Monk and Nellie Monk. Produced and directed by Charlotte Zwerin and Bruce Ricker. Includes great tracks from Thelonious such as "52nd Street Theme," "Blue Monk 1 & 2," "Lulu's Back in Town," "Trinkle Trinkle," "Well You Needn't" and more!